For all the paintball fans out there this is one great site for reviews and paintball guns information. Featuring weekly posts and updates as well as detailed paintball information. The website also offers a video section where you can see the most recent paintball videos from around the world. The website was started on 2007-06-08 with just a few posts and grew quickly to more than 400 posts which make it one of the best paintball review sites on the internet. The website offers a different range of topics varying from paintball guns to paintball equipment, clothing and even protection gear. that is the most amazing sniper riffle ive ever seen.i wish i had one of them guns. 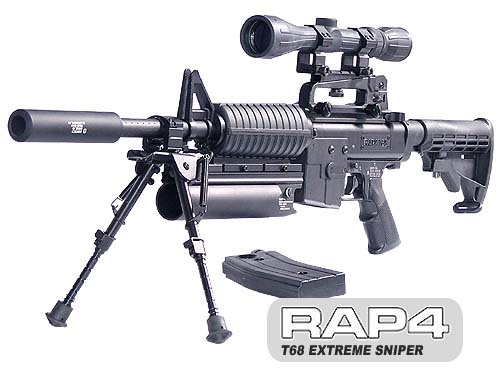 Hi, just wanted to say that is an awesome sniper rifle for paintball. What would be the price tag one exactly like that and where, or who can I contact to discuss about purchasing one.